SMD Inc., which provides electronic component supplies and logistical solutions to industrial manufacturing companies, was using outdated and ineffective ERP software to organize their operations. SMD sought out a more effective solution. Axiom deployed their ePDS ERP platform at SMD, both revolutionizing SMD’s business operations and providing them a long-term consultative relationship. 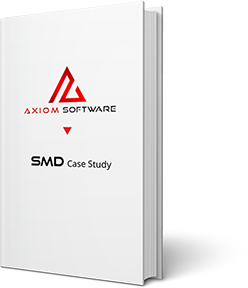 Download this case study and learn how SMD benefitted from working with Axiom.